At Clinica Dentista, we pride ourselves in the quality of service and genuine care we provide to our patients. Dentistry, like all other fields of medicine and science, is always developing and improving with new knowledge and techniques through research and study. We are committed to improving our wealth of dental knowledge and providing our patients with the best possible dental care backed by sound dental science. 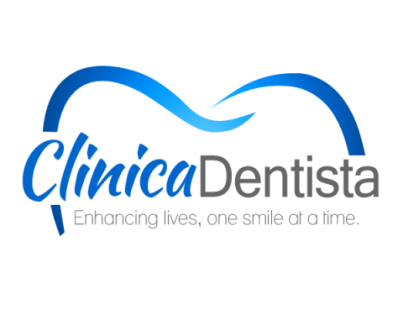 We strictly adhere to the highest standards in dental care by ensuring the use of the best possible materials, imposition of rigid infection control/ sterilization procedures, observance of protocols for all dental procedures and services, regulation of price ceilings and implementation of the highest ethical standards in the dental profession. Our patients are assured of nothing less than the best possible dental care experience. We provide a comprehensive range of dental treatment to cater to all your needs. Not every patient will have the same treatment plan even if the conditions seem very similar. Our philosophy is to perform minimally invasive dentistry as much as possible - that means we want to do as much as possible to preserve your natural teeth and give you the most comfortable experience possible in the dental chair. 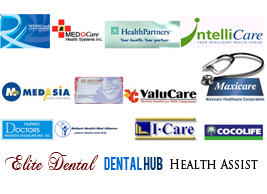 We enhance people's smiles in Bulacan and Pasig. The nature of our practice is to provide our patients the utmost in dental care and personalized service. Backed by years of experience catering to most ages and dental cases. 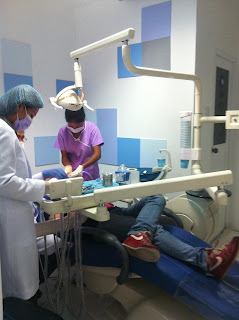 We are committed on providing technically excellent dentistry, meticulous and gentle treatment --- in a pleasant and comfortable clinic atmosphere. As a family-oriented dental practice, we provide a wide range of dental services. As a healing profession, we treat patients as delicate individuals and give them high and efficient dental attention. We employ careful pace and step-by-step sequence in accomplishing finished job. We regard good dentistry as a "work of art", that's why we always strive to create great results and beautiful smiles... for enhanced patient's health, comfort and appearance. Our state-of-the-art clinic offers the total dental tourism solution allowing you to combine a perfect vacation with top quality dental treatment and care. Compared to prices of equivalent treatment in the Philippines, the cost of cosmetic dentistry in many European and American countries is very costly. Truly, we understand patient's demands, expectations, fears and cautious-spending. So, trail high and experience for yourself the best things in dentistry we can offer!